Orthodontic treatment is a professional service offered to help improve the position and functionality of your teeth. Orthodontic treatment can straighten your teeth, re-adjust your teeth alignment, and distribute your biting forces evenly. 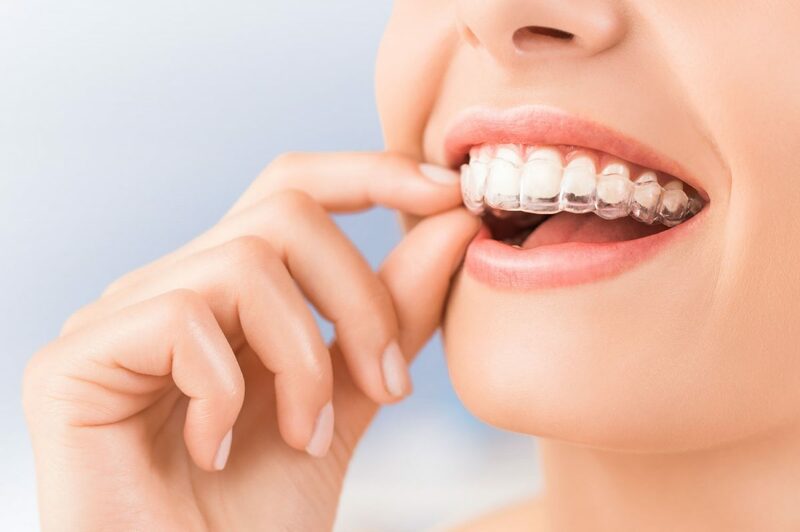 Orthodontic treatment typically involves the application of braces, special fixed appliances, fixed space maintainers, retainers, headgear and more. Invisalign is a popular orthodontic treatment option that we offer here in our office whereby a series of clear custom trays are worn in order to slowly encourage proper tooth alignment. Why Should You Have Orthodontic Treatment? Orthodontic treatment is ideal for people dealing with crooked, crowded or missing teeth. If your bite feels uneven, or you are dealing with jaw joint pain or headaches, orthodontic treatment may be the solution to your problem. Orthodontic treatment is not limited to children, it can help people of all ages. If you are experiencing spacing issues, overbite, underbite, cross bite, open bite, crowding and misplaced midline, orthodontic treatment may be helpful. Orthodontic treatment will have a positive impact on the long-term health of your jaw joints, gums, and teeth. Dr. Syed will begin by performing an orthodontic assessment to evaluate the individual needs of the patient. This would include an oral exam, radiographs, photographs and study models. Following this initial examination, Dr. Syed will take time to discuss your treatment options and treatment schedule. We offer Invisalign right here in our office and this treatment generally takes a few months to up to two years, with regular visits to check in on the progress of your orthodontic treatment. We also work with orthodontists who specialize in more complex orthodontic cases, should there be a need for their assistance. Are you worried about the appearance of your teeth? Do you experience jaw joint pain or discomfort? Call our team today to schedule an initial appointment to learn more about how orthodontic treatment can help you. we will respond swiftly and be happy to assist you. Copyright Dr. Sara Syed Dentistry. All rights reserved. Copyright by DR. SARA SYED 2019. All rights reserved.